Why do buyers LOVE The Kemp Homes Company? 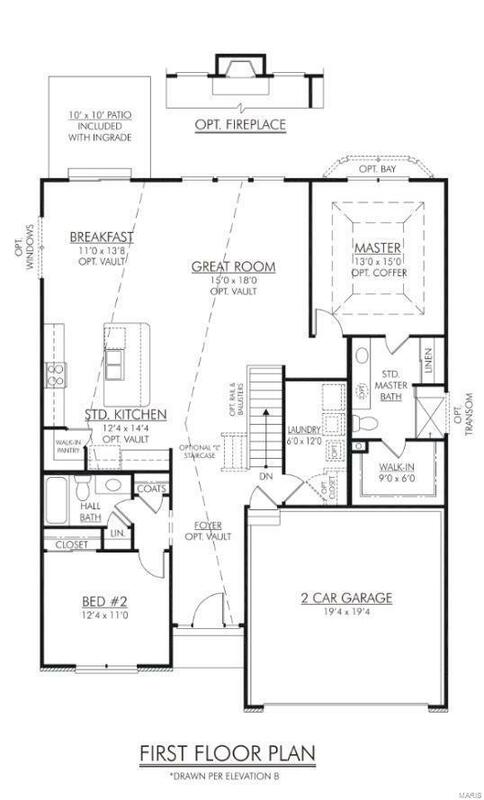 BECAUSE WE CUSTOMIZE FLOOR PLANS TO FIT YOUR NEEDS! West Ridge Farms is a detached villa community of only 27 lots & located off Duello Road close to Hwy 40/61. Most lots back to either trees or common ground. PRE-GRAND OPENING PROMOTION- 50% off Options up to $30,000! 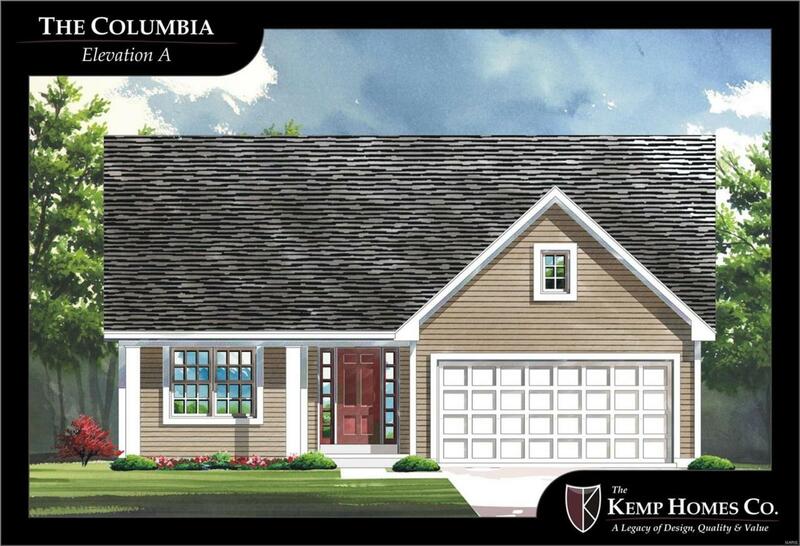 The COLUMBIA floor plan is 1583 SF w/ 2 spacious bedrooms, 2 luxury bathrooms & 2 car garage. OPEN FLOOR plan is what everyone is looking for w/ GREAT ROOM, KITCHEN & DINING AREA all OPEN to one another! Center Island in kitchen is perfect for entertaining both small & large crowds alike. You will love the GRANITE TOPS, QUALITY CABINETRY & Walk in pantry. 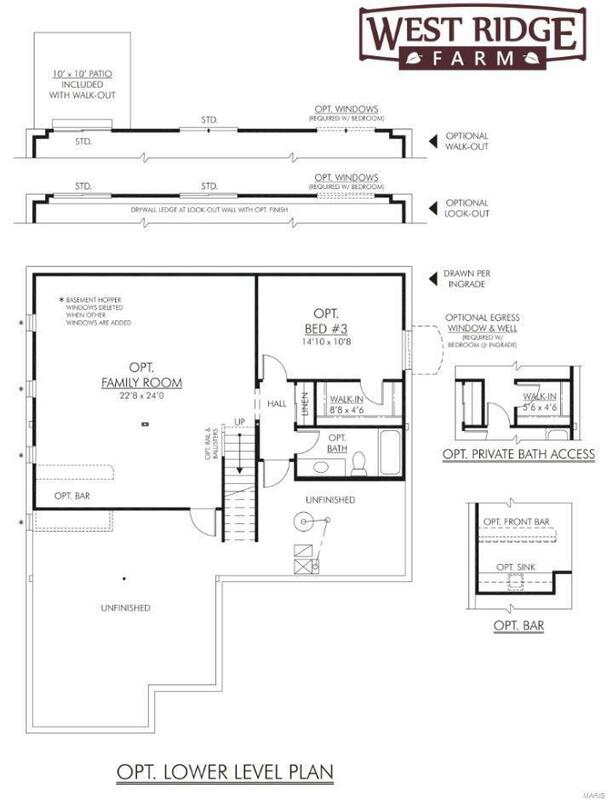 Large master bedroom ensuite has 6x9 walk in closet, large shower w/ seat, linen closet & furniture quality vanity. Main floor laundry offers 14'4" x 6' of space. Other standard features you will enjoy are Insulated Low E windows, ALL yards are sodded, irrigated & landscaped, 30 YR architectural shingles & more!